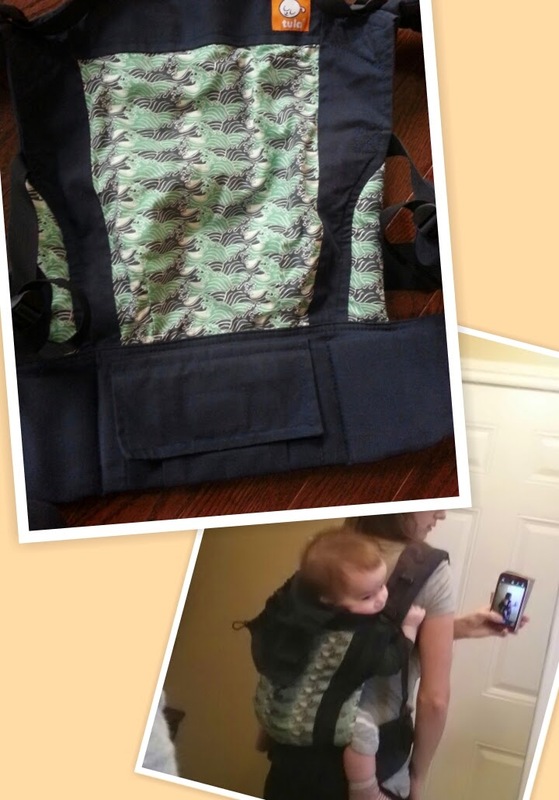 Many of the parents in our local babywearing group are fans of the Tula. I've always had my Ergo, so I wasn't sure if I needed to also try the Tula, but finally I broke down and bought one in The Wave pattern from a Canadian shop. The pattern was a lovely repetition of waves that was a bit reminiscent of Oki on a smaller scale, with a navy blue canvas backing and border. I noticed right away that the waistband was wider and more structured than that of my Ergo. 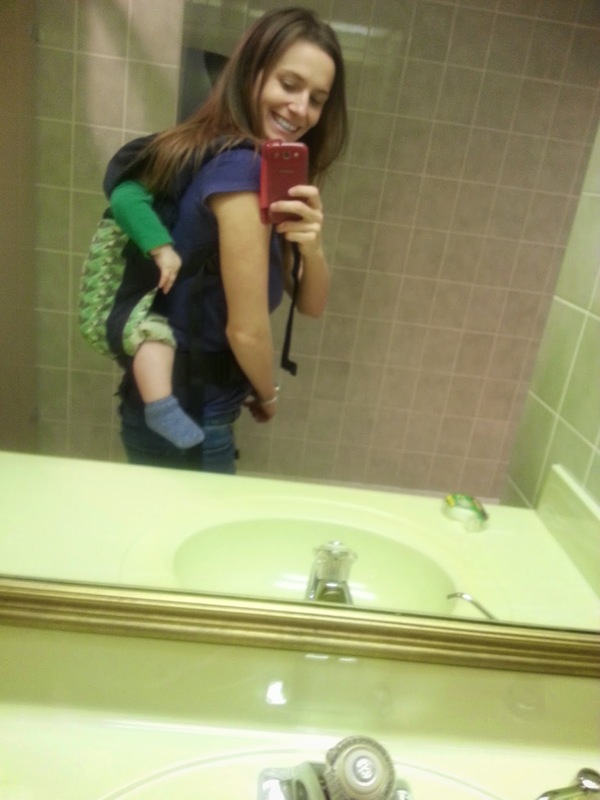 When I first tried it on for a front carry, my first impression was that it was more comfortable than my Ergo on the shoulders, as the padding is more substantial in the Tula straps. I really appreciated how the fabric molded around my son's body more like a wrap, which made it seem a bit more comfortable and snuggly. Where I found the true strength of this carrier was when I tried it for back carries. At first, I put the waist belt in the same spot I was used to using my Ergo, which I found very uncomfortable, as it pulled my pants down. I found by putting the waist belt up higher than I was used to it was much more comfortable, and baby was able to sit up higher and look around better than he had been able to in the Ergo. I really enjoyed this carrier for outings where it was impractical to wrap and through the Winter under and over our Kindercoat. I started to find it difficult to use over a coat though, as I had to pull the panel up and over my son after getting him on my back rather than hip scooting him with the carrier (otherwise my coat was a tangled mess). The canvas is a bit grippy, and would often not let him slide easily into the pocket of the seat when used in this manner. It was fine if my husband or someone else was around to help me bounce him down further, but this was inevitably what made me sell this carrier. Overall, this was a great carrier, but I am not much of a buckles gal to begin with. Recommendation: This is a great SSC, and I would recommend it to anyone who was looking for a main carrier for back wearing. For front wearing, I might recommend something with crossable straps, but this is still fairly comfortable.